Fantastic new construction from Cedar Creek Homes! Slated for completion in October 2017. This Modern - Rustic style home captures the best of several architectural elements. Stained concrete radiant heated floors create the base with hand forged iron, stone, rough timber beams and beautiful wood accenting the space throughout. 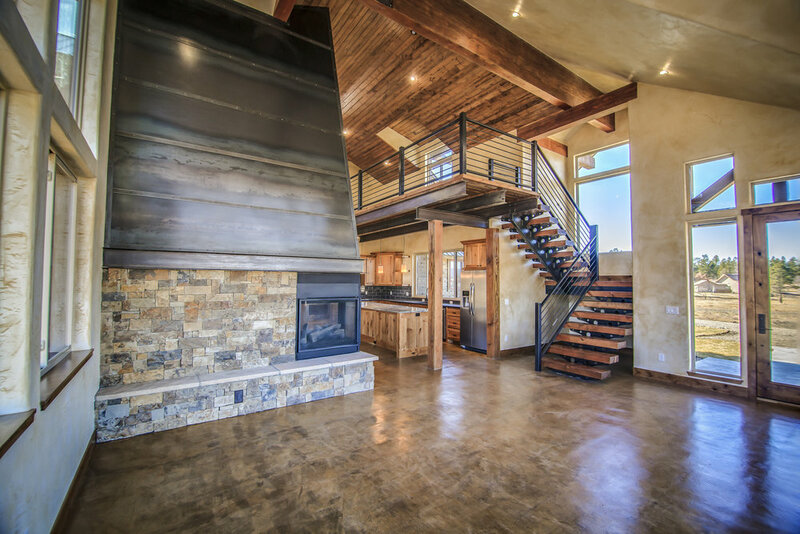 Open concept for fantastic light and views of the unblock able San Juan Mountain range. Master suite and primary functions of the home on the main level, with 2 additional bedrooms and a spacious open loft above. Incredible place for the price point in prestigious Colorado Timber Ridge, close to all amenities, paved roads and underground utilities. Call the Listing broker for more information, or grab your agent for a viewing today!